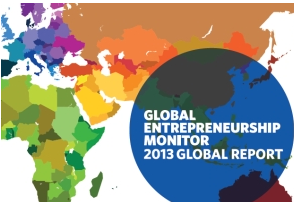 The Global Entrepreneurship Monitor (GEM) South African report for 2013 has been launched at UCT. South Africans are becoming more interested in setting up small businesses, but the country still has a long way to go to fully break into the entrepreneurial space, the latest Global Entrepreneurship Monitor (GEM) for South Africa has revealed. The GEM’s South African report for 2013 indicates a sharp increase in the perception that entrepreneurship is a good career choice, while its perceived status has improved by 56% between 2001 and 2013. 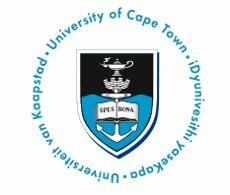 “There’s been an improvement, but South Africa’s rate for new business entrepreneurs and early stage entrepreneurs is still significantly lower than for other Sub Saharan countries,” Dr Mike Herrington, co-author of the GEM for South Africa and founder of the UCT Centre for Innovation and Entrepreneurship, said at the publication’s launch last week. A worrying trend is the low number of established small businesses in the country. The established business rate in Sub Saharan Africa is high at 13%, but South Africa comes in well below the norm at 2.9%. “This is extremely low as it is these businesses that provide employment,” said Dr Herrington. The figure has nudged up from 1.3% in 2005. Of great concern is the number of established small businesses that are closing down. The GEM says the rate of discontinuance is rising, which means that more established businesses in South Africa are closing than are starting. The top three reasons given for closing shop were: that the business was no longer profitable; the entrepreneur had problems getting finance; and personal reasons. Jacqui Kew, the co-author of GEM’s South Africa report and senior lecturer in UCT’s Department of Accounting, urged young people to seek out entrepreneurial opportunities. “We need to let young people know that there are options out there,” she told a packed Kramer lecture theatre at the launch on April 24. The report shows that a quarter of young people in South Africa between the ages of 18 and 34 believe they have the skills and knowledge to start a business. This compares with around 40% in Brazil and 60% in Sub Saharan Africa. Sixty percent of young people surveyed in South Africa believe the lack of knowledge of how to start a business is a substantial barrier to entrepreneurship, while 61% believe that most young adults that start their own businesses have to work too hard for little money. Some interesting shifts in the entrepreneurial landscape in South Africa have emerged out of the research. The overall percentage of black opportunity-driven early-stage entrepreneurs has more than doubled from 2005 to 2013, while the percentage of white, coloured and Indian entrepreneurship has decreased over the years. South Africa’s gender gap has shifted only marginally since 2002 in the entrepreneurship field. The survey showed that 58% of entrepreneurs were men and 42% were women in 2013. The report suggests that women should be playing a more significant role and that initiatives should be looked at to improve this balance. The Western Cape boasts the highest rate of high-growth businesses, while entrepreneurs in the province consider themselves to be more innovative than in other parts of the country. However, Gauteng leads the pack in having the most entrepreneurs in South Africa, with Durban in second position, and Cape Town coming in third. A total of 68 countries participated in the GEM 2013 research project. Its information is accessed by a range of players, including governments around the world who use it to help plan small business policies.